The first study involving voluntary wheel running was published in 1898. More than one century later in 2007 preclinics put its first own voluntary wheel running system into operation. After years of proving and permanent evolution in more than 200 voluntary wheel running studies it is now offered to researchers outside our lab under the brand name REVOLYZER® (REVOlution anaLYZER). 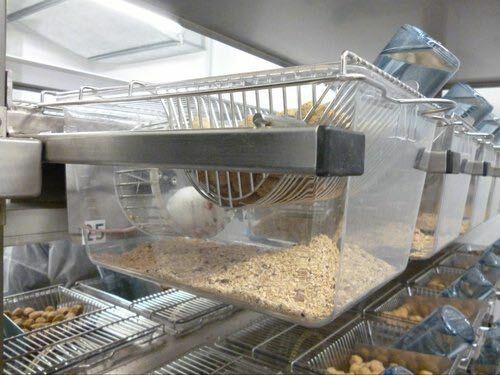 Convenient: Analyzing equipment is located completely outside the cages. The exchange of running wheel and cage is done within seconds. Running wheels can be easily cleaned. A panel-PC with large touch-screen serves for display of data and settings. Data output format is compatible with standard data analyzing software. 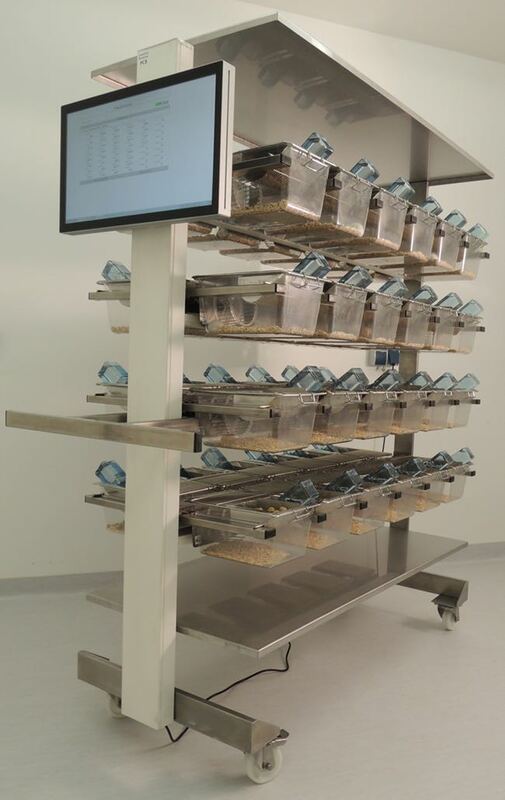 Efficient: The standard REVOLYZER® model features high capacity - 48 cages with running wheels in one system. Robust: The rack consist of stainless steel. With the exception of running wheels and cages it runs without maintenance. Flexible: Since our REVOLYZER® is individually produced, demands of our customers are immediately realized. Modifications in size or containment are possible. Accurate: The system features a high sampling rate – no revolution is missed. A variety of interesting parameters may be recorded besides total running activity. Precision ball bearings and magnetic brake ensure constant running conditions.